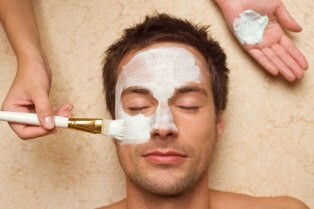 Illuminate your face, and rejuvenate your skin immediately with our antioxidant facial. You will experience a series of therapeutic and relaxing techniques such as acupressure, reflexology, Swedish massage and aromatherapy combined with Reiki and Shiatsu. Enjoy total relaxation as two massage therapists simultaneously deliver a restoring touch over your entire body. This massage is the ultimate way to rejuvenate yourself from head to toe. Return to your body what the effects of your active lifestyle haven taken. This massage is an invigorating combination of motion movements, deep tissue strokes and compressions. If given before exercise, your massage can loosen your muscles and increase flexibility. After exercise, it can help reduce soreness and help combat any muscle stress before it develop. It is a loving massage in that the masseur touches and treats the client with love, respect and compassion. Lomi Lomi is also known as “Loving Hands”. It is a unique style of massage that sees the masseur using their hands, forearms, elbows and fingers. The massage works by stimulating natural flow of energy within the body in order to bring about changes in the physical, emotional and spiritual areas, Stress and tension is released so that energy can flow freely once more. 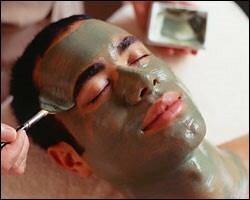 It is also deeply relaxing and rejuvenating. This massage is a natural cleansing method that uses sophisticated techniques to help rejuvenate the skin and tissue. Replenishing lymphatic fluids are very important for your total well-being. Sit back and enjoy as we give your body total relaxation through reflexology. You will feel stress disappear and your entire body relax as your therapist applies this pressure point massage to your feet. An energizing massage, Shiatsu uses pressure along with stretching techniques to clear blocked energy in your body. Feel stress and tension disappear as your therapist uses this ancient oriental massage. Energize your mind and body as your therapists use the ancient technique of the “laying on” of hands. The combination of two words, rei and ki, translate to the meaning of “universal life energy”. Restore and rebalance your total being. Including the mind and spirit, whit the traditional Thai Massage. For over 2500 years, the healing art of Thai has developed using gentle rocking, rhythmic acupressure and assisted yoga poses. For your emotional and spiritual balance, this massage also uses element Buddhist spiritual practice, Chinese medicine and the healing practice of ancient Siam. A Great way to compliment your trip to Puerto Vallarta, is to experience a warm Stone massage. This type of massage has a very important place in Mexican Culture. The power of the stones placed on your body to release muscle tension using the warmth of the stones. The powerful nutrients in our black mud massage are legendary for their ability to stimulate metabolic functions and soothe and rejuvenate the skin and body. Your skin will thank you for this healing treatment.